Fox is notorious within the community for being incredibly difficult to train. Even so, he has a few definitive strengths that aid him in battle. 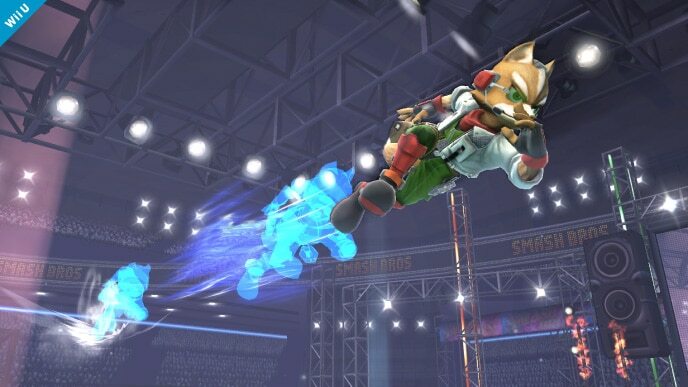 Fox’s infinite jab comes out fast and inflicts respectable damage, and his tilts retain that damage and are even faster. He also has a solid set of special moves, including a useful projectile and several recovery options. 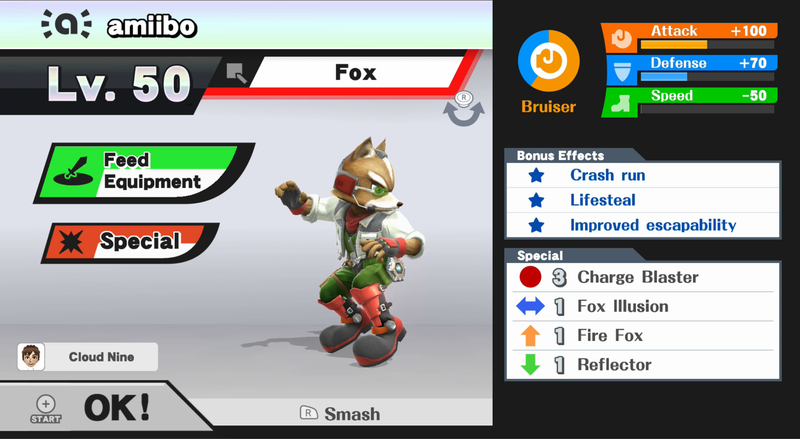 However, as a combo-oriented character, Fox translates into an awkward and erratic amiibo fighter. His AI is one of the worst of any amiibo: it spams its down smash to no end in spite of the move’s poor range and power. In fact, Fox’s entire moveset lacks both range and power, which makes getting KOs very difficult. Adding to these troubles is Fox’s light weight – he is easily knocked around by heavy hitters like Bowser and Ganondorf. Alongside R.O.B. and Samus, Fox is one of the most difficult amiibo to train. His attacks lack both range and power, and on top of that, his AI is nearly impossible to work with. If you are new to amiibo training, perhaps try training Falco instead. Charge Blaster: Fires a single, powerful laser that inflicts more damage and knockback. It comes highly recommended, as it gives Fox a more meaningful projectile that is not as easily spammed. Neutral options: jab, forward tilt, up tilt, down tilt, and Charge Blaster. 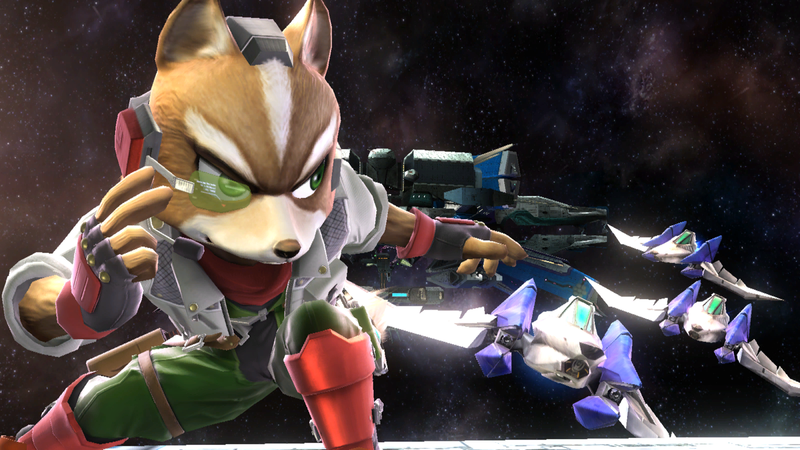 Fox’s jab and tilts are solid neutral options that come out fast and can help bring an opponent to high percentages. Charge Blaster is an effective ranged attack when used in moderation. Main KO moves: up smash. Fox amiibo have a strange tendency to entirely ignore their forward smash. Although forward smash is technically a superior KO move, you will have an easier time teaching it to rely on its up smash instead. Moves to avoid: down smash, side special, and up special. 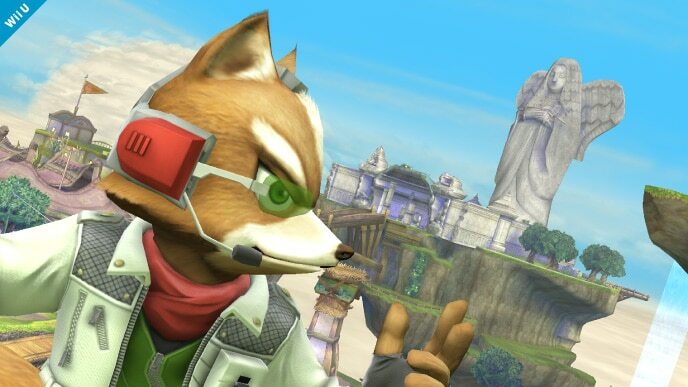 Fox amiibo slowly develop a habit of spamming down smash. During training, do not use this move at all, because it could send your amiibo into a downward spiral. Fox Illusion and Fire Fox should be used for recovery purposes only. Situational moves: Crash run. For best effect, create a custom set equipped with Crash run and use it to train your Fox amiibo. When approaching, be sure to dash: the longer your dash, the more damage Crash run will inflict. This maneuver can also link into a neutral aerial or up smash. Thanks to Blue, MegaVGmaster, and DONkLE for compiling Fox’s information. Images are courtesy of SmashWiki and the official Super Smash Bros. website.